“Congrats, you’re the first person on here that doesn’t hate me,” Chuck messages, followed by the hand-waving emoji. It’s an opening line I’ve never gotten before, despite having used Tinder for the past eight months. But this isn’t Tinder, thankfully, and Chuck’s message to me only really makes sense because we’re using a new app called Hater that matches would-be lovers based on all the stuff they hate — in our case, baggy pants, bad sidewalk etiquette, bad grammar, Axe body spray, anti-vaxxers and Anthony Weiner. According to Hater, our shared hates of these things made me and Chuck a 90-percent match. The app officially launched last Wednesday, which explains, in part why I was Chuck’s very first connection. It doesn’t help that we’re both in L.A; a higher concentration of Hater’s 150,000-plus active users are in New York City, where the app was founded by ex-Goldman Sachs employee Brendan Alper. He’d been looking to leave Wall Street and break into comedy, and the idea for the app started as a joke for one of his sketch ideas — until he realized people were actually really into it. “There’s that weird combination of humor but also truth that was missing in the online dating system,” Alper told me in a phone call last week. “There’s all these studies that show that hating the same things actually brings people closer together.” He’s referring to a series of studies by University of South Florida researcher Jennifer Bosson over the past 10 years, which have found that people who dislike the same people (or professors) tend to befriend one another and feel more strongly about their new potential friendships. While these studies didn’t account for romantic relationships, Chuck and I seemed poised to bond more quickly than the average online date. When I asked him out on a Friday, he eagerly agreed to a date the following Tuesday, without knowing much about me other than that I hated slow walkers, mansplaining and Vladimir Putin. We messaged back and forth briefly and soon discovered that we lived in the same neighborhood and even liked the same bars. I also told him up-front that I planned to write about our date and he was game. Maybe hating the same stuff really was, in some weird way, an indicator of what we liked, and whether we’d end up liking each other. The day before our date, I scrolled through his profile again, just to make sure I knew what I was getting myself into. The photos he’d posted of himself — posing with a cardboard cutout of Jerry Maguire at a gallery, holding a sign at the Women’s March, embracing a deli sandwich with a look of sheer joy — indicated not only good taste in food and art, but a knack for presenting himself in a short but convincing series of images, an emblem of a seasoned online dater. 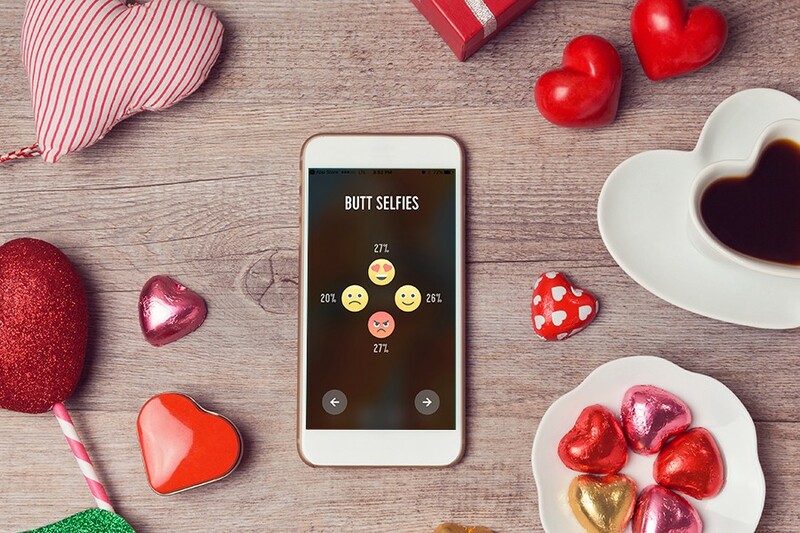 Though the app purports to match you based on all the things you hate, the inescapable reality is that any online dating profile is a reflection of just the opposite. The photos on my own profile are inherently an endorsement of my favorite restaurants, outfits and travel spots, and my decision to mark a happy-face emoji on someone else’s Hater profile often comes down to whether or not I like their main photo — not that we both hate skipping breakfast or doing laundry. Even still, Chuck and I had so many negative opinions in common that I figured we probably wouldn’t have too many awkward silences (one of the things he said he hated on his profile). Over beers at a dimly lit Echo Park bar, he told me he’s an art director, which explains why his profile was so well curated. And, as I suspected, he’s also tried Tinder, Bumble and OkCupid, with varying degrees of success. 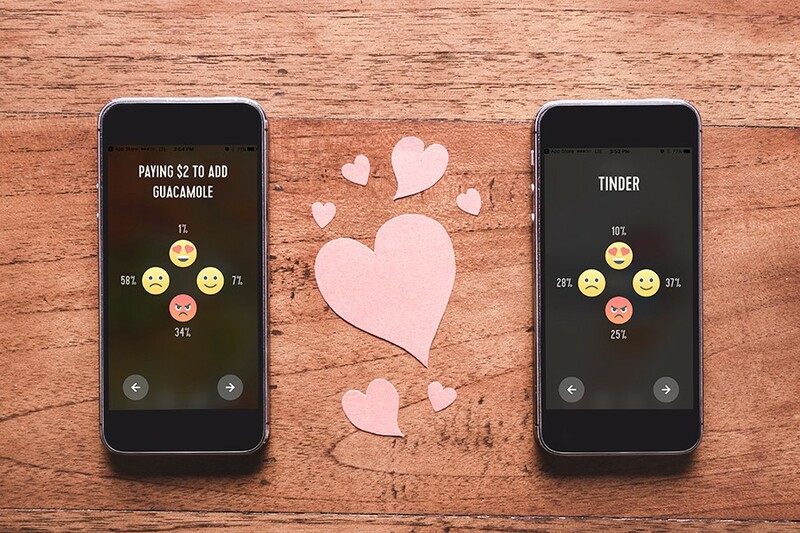 Tinder, he said, often gives you too little information about the person you matched with; OkCupid, on the other hand, offers an overwhelming array of surveys, personality quizzes, and questionnaires. And Bumble tends to attract women who are beautiful and career-oriented, but who would probably never go out with a self-described comic book nerd like Chuck, who is looking for someone a touch more offbeat, anyway — the kind of woman who could carry on a conversation about Harry Potter or X Men. That woman didn’t turn out to be me; I admitted I was never into superheroes or fantasy novels. But I listened intently nevertheless as he told me about his designs for a Dare Devil tattoo and reminisced about the Harry Potter costume parties they used to throw at the bookstore where he worked in college. When I got bored hearing about what he enthusiastically referred to as “nerd culture,” I shifted the conversation to something that his profile said he loved, but that most guys I knew hated: the HBO show Girls, one of my favorites. We talked effortlessly about Lena Dunham, Judd Apatow and the double standards (another thing our profiles confirmed we both hated) for women and men on T.V. I was charmed by his insights and surprised by his defense of a female artist so many others seem to hate. Maybe it wasn’t so much the things we hated that connected us, but the things we didn’t hate that everyone else did. Like most dating apps, Hater still requires a fair amount of savvy and skepticism to navigate its quirks. It doesn’t allow you to control for distance, for example, so you might accidentally match with someone 5,000 miles away without immediately realizing it. (This will likely get smoothed out as more users join.) There was, for instance, the self-identified “legendary internet troll” whom I had to block after he sent me 20 consecutive messages threatening me with violence and berating me for questioning which of his profile photos were actually of him. I’d previously matched with him — the decision was based purely on physical appearance, which isn’t uncommon with most dating apps — before bothering to glance at the things he said he hated most: menstruation, social justice warriors, and The Simpsons among them (who hates The Simpsons?). When I looked back, the things he said he loved were equally revealing: The size of the U.S. military, the death penalty, buzz cuts and peeing in pools. By design, Hater favors grand, divisive opinions over nuance and irony — which means that it’s impossible to articulate on my profile why I find things like Ed Hardy t-shirts and AOL email addresses charming rather than simply hate-worthy. Instead, my profile declares my hatred for straightforward things like nuclear bombs, Donald Trump and the phrase “build the wall,” which I chose to display prominently as my most-hated topic in an attempt to weed out any stray Trump supporters. Shared political views aren’t a requisite for romantic chemistry, of course, but having recently gone on several dates that involved listening to a rehashing of the Democratic primary and roasting Hillary Clinton to the point of fatigue — surprisingly, she never came up as a topic on Hater — I found it beneficial to know in advance that my date and I were more or less on the same page politically. But if dating post-election has taught me anything, it’s that that the country is more angry and more divided than ever before, even among those who lean to the left. And Hater’s goal of connecting people specifically with those who share our hatred won’t do anything to reduce this isolation. The state of our divided nation aside, Chuck and I did turn out to be pretty well-matched haters—our date lasted nearly four hours and spanned two different bars. It was a welcome surprise considering that I’d initiated the date as an act of service journalism and wasn’t expecting to meet someone I’d actually want to go out with again. Whether is works out long-term remains to be seen, but at the very least, he didn’t wear baggy pants or mansplain to me even once.